The distinctive artisan pizzas at Che Fico. Anderson Cooper has eaten here. So has Gwyneth Paltrow. Finally, so, too, has the Food Gal. OK, I may not rank in that celebrity stratosphere, but I still count myself lucky to finally have gotten into Che Fico, which arguably is the hottest new restaurant to hit San Francisco of late. Since the doors opened to this Italian eatery in late-March, reservations have been near-impossible to get and the walk-in line has snaked down the block. All this for another Italian joint in the city? 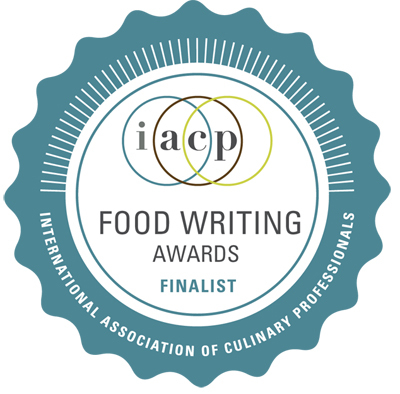 Yes, when the team behind it is Chef David Nayfeld, Pastry Chef Angela Pinkerton and partner Matt Brewer, all alums of the illustrious Eleven Madison Park in New York. Follow the arrow and walk upstairs to the restaurant. 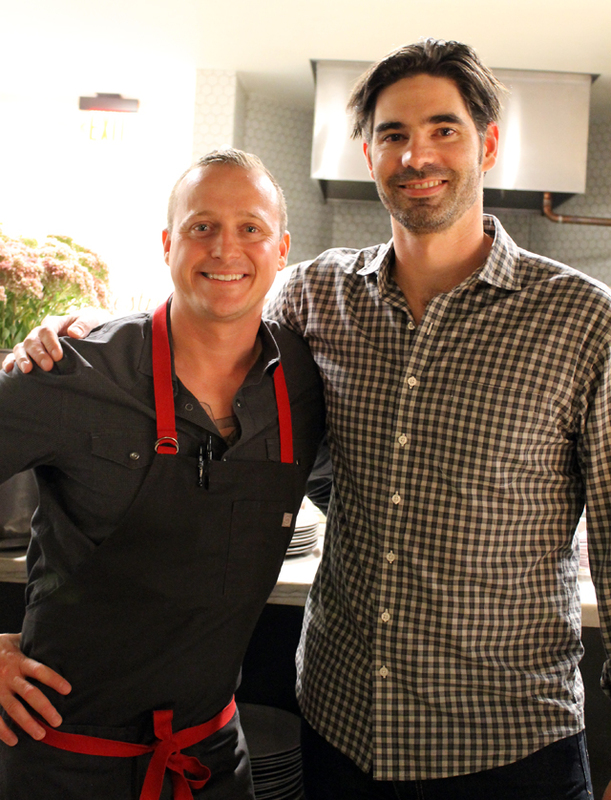 Chef David Nayfeld and business partner Matt Brewer in the kitchen. I admit I scored a Saturday night reservation with the help of a publicist, but paid my own tab at the end, though Chef Nayfeld did bring out a couple of gratis dishes for us to try. 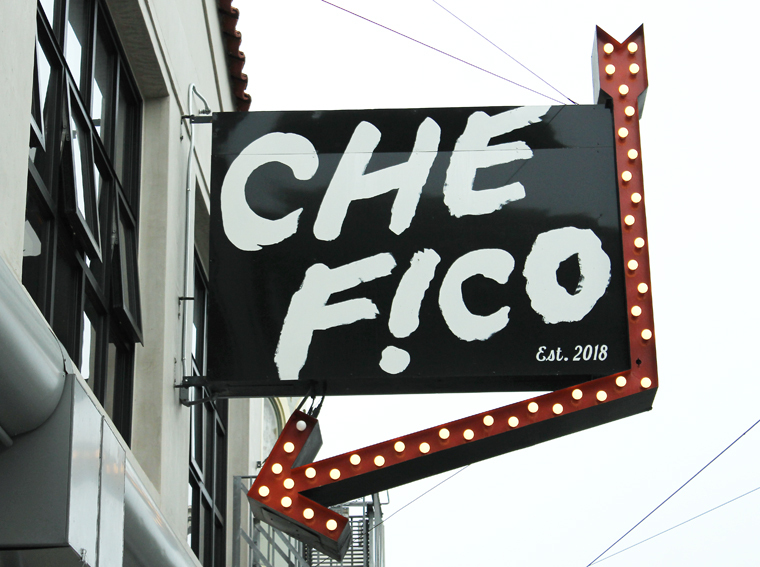 Che Fico is housed on the second floor of a building in the Nopa neighborhood that also has a Boba Guys on the first floor. 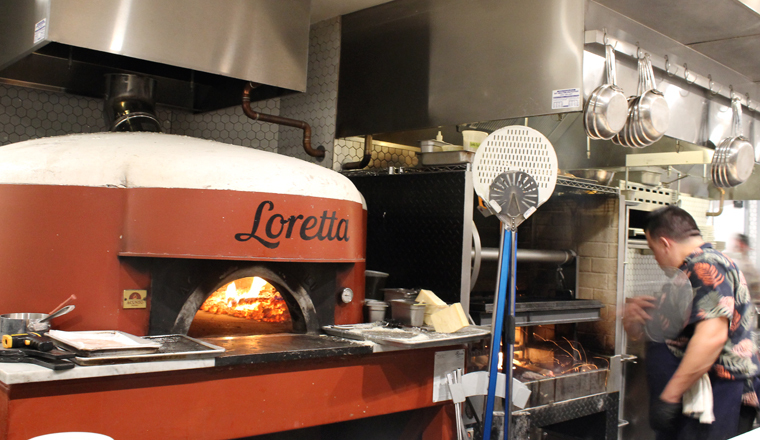 Also on the ground level is Theorita, the diner-bakery also from the Che Fico team, which opened in August. Walk up a steep staircase to where the host is already turning away people without reservations. At 6 p.m., the place is nearly full already. Every seat at the long communal table in the center of the restaurant is taken. The high ceilings with exposed pipes and rafters give an industrial-warehouse vibe, but also make for one noisy dining room, especially when coupled with a loud soundtrack playing oldies by the Cars and Elton John. This is not necessarily the place to have a deep conversation. But it is a fine place to enjoy some righteous food and drink. I do love orange-leaning cocktails, so how could I resist the Orange ($14)? 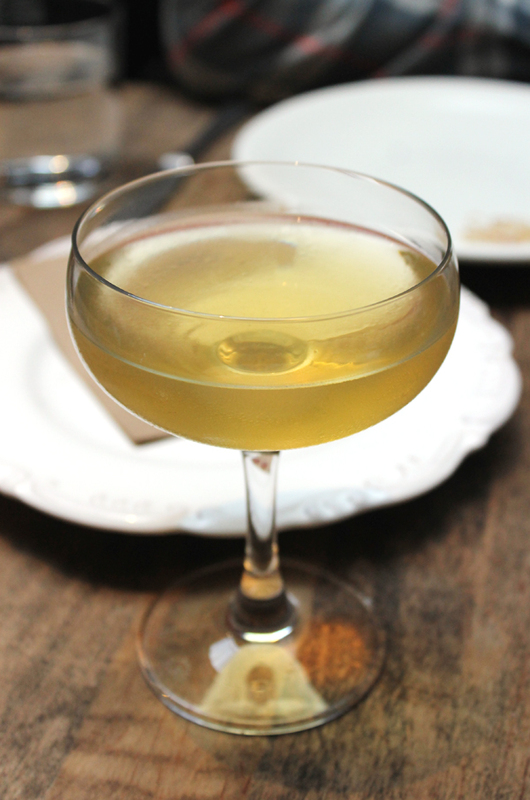 The server described it as a cocktail on the “lighter side.” I must be a total light-weight because I found it plenty potent tasting, what with bianco vermouth, yellow chartreuse, cognac, prosecco and absinthe in the mix. It had the bitter orange taste I love plus a back edge of that medicinal anise characteristic of absinthe. 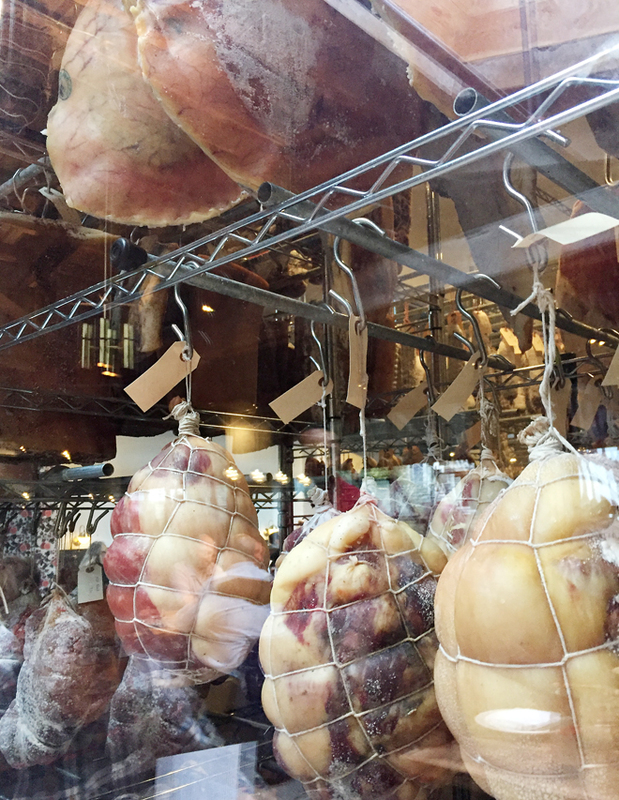 Peering into the window of the charcuterie aging room. Our table was right by the glassed-in walk-in charcuterie aging room in the dining room, filled with hams, sausages and pork bellies, curing ever so slowly. 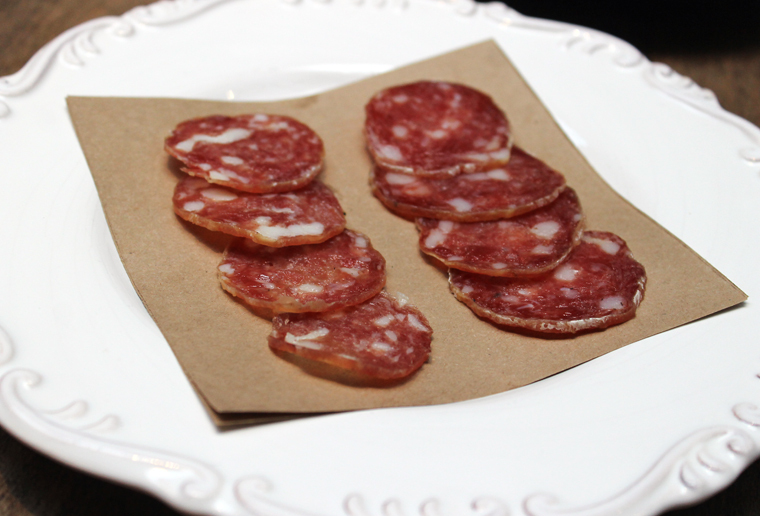 Our server recommended the “Selection of Italian Dry Salami,” which included the Toscano, made with white wine and black pepper, and another made with Dirty Girl green coriander. A sampler of two different salumi. They were both richly porky tasting, ever so salty, and just a bit sweet. I think the Toscano was my favorite of the two, because the wine added a nice fruitiness that brought out the natural sweetness of the pork. But I think I’m still a little googly-eyed at the price. I know salumi is laborious to make and time consuming in its aging. But what arrived on the plate were eight nearly paper-thin slices, each the size of a quarter — for $12. 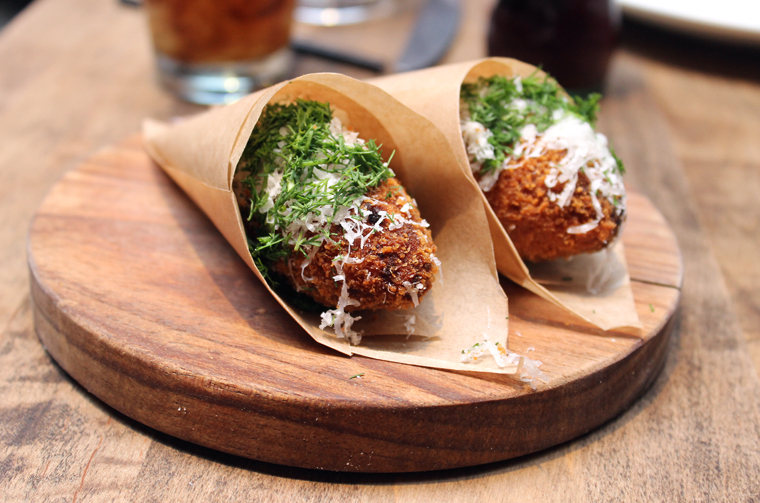 The suppli ($5 each) is like the best arrancini ever. Like an elongated quenelle, it arrives in a paper cone, hot out of the fryer, and crunchy as all get out with a formidable crust. Take a bite to find the creamy rice center with oozy fontina and sweet tomato sauce. It’s what you wish a Hot Pocket could actually be. The restaurant makes one of the best beef tongue dishes I’ve ever had. “Warm Beef Tongue” ($14) arrives in one big piece on the plate, covered in salsa verde, crisp capers and pickled mustard seeds. It tastes like corned beef. But the texture is uncannily tender, missing the slight chewiness that beef tongue usually has. Nayfield brines it for a week before cooking it sous vide, leaving it — yes — practically melting in your mouth. Bread and a whole lot of ‘nduja. 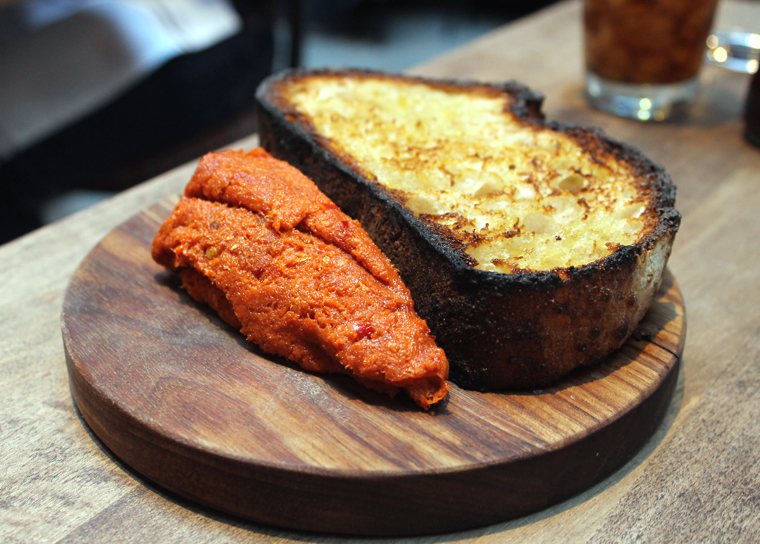 ‘Nduja” ($12) brings a slab of grilled Jane the Bakery sourdough with a generous blob of the spicy, smoky spreadable sausage. In fact, it’s more ‘nduja than you’ll probably have bread for. Just take the rest home and enjoy it cooked up with eggs the next day or in a panini. The pizza is a marvel, made with a sourdough starter and 100 percent whole wheat flour. Yes, it’s bread-like in texture with the full, developed flavor of the best artisan loaves. 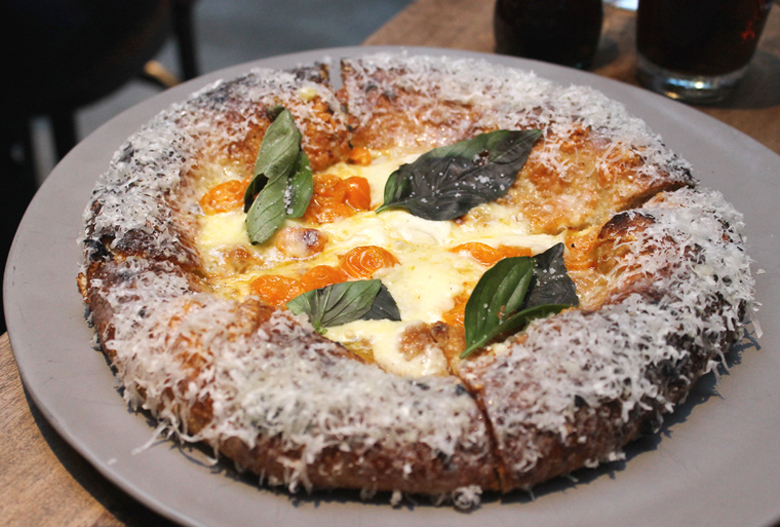 The one with Sungold tomatoes, mozzarella, basil and Italian caciocavallo cheese ($20) is destined to be a modern classic with its puddles of melted, milky cheese marrying with bursting sweet little tomatoes. The outer rim of all the crusts is finished in a flourish of grated Parmesan, giving them a distinctive look. It makes it a little harder to pick up with your fingers — you’re sure to get cheese all over them — but who cares. Just go for it. Nayfeld even admits he finishes the pizza this way so diners will be swayed to eat every last bit of the crust. Believe me, you will, too. It’s that good. Pastas are all made in house. 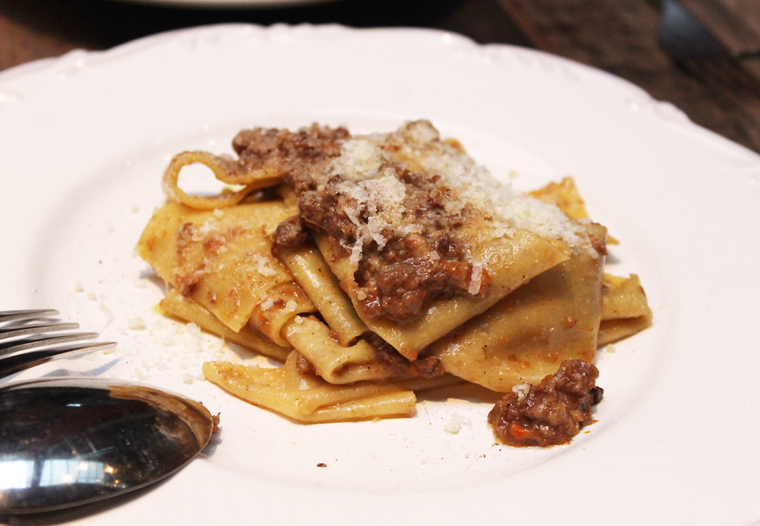 The Pappardelle al Ragu ($28) features the most supple pappardelle I’ve ever had. Usually, these wide noodles have a noticeable thickness and chewiness to them. Here they have the perfect density and are so tender. The bolognese is meaty rich. Parmiginao Reggiano, aged 48 months, adds a nutty sharpness. Tomato leaf cappellacci stuffed with salt cod. 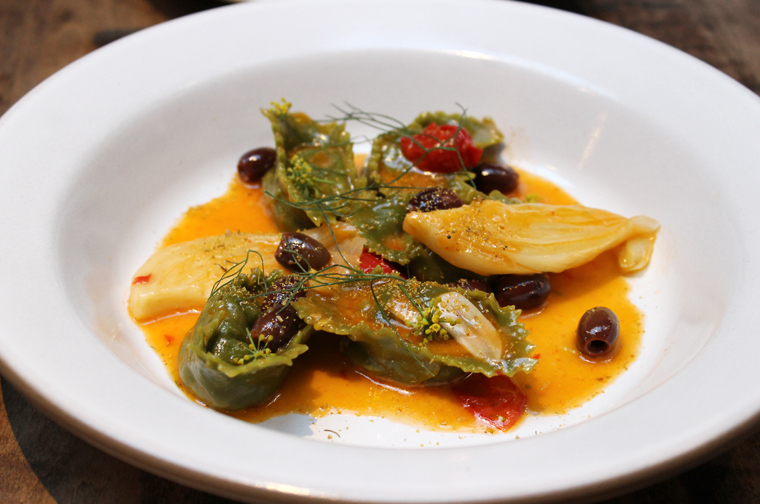 The Tomato Leaf Cappellacci ($26) are little pasta dumplings the color of jade. they are stuffed with baccala, and finished with fennel, olives and braised tomatoes. 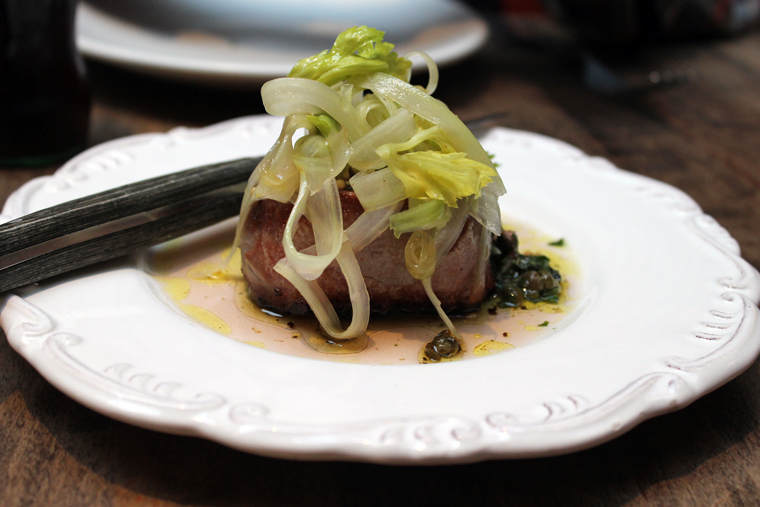 It’s a dish that screams with the briny taste of the sea. 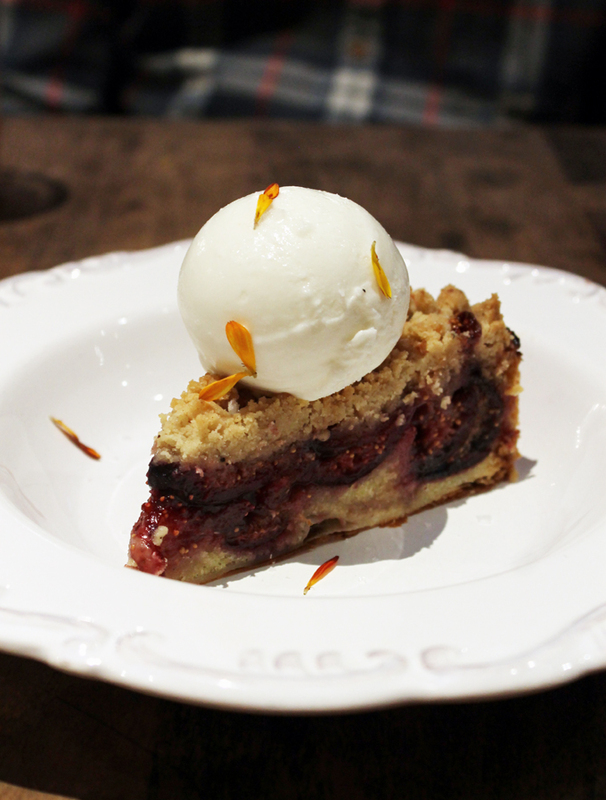 For dessert, we shared the Deep Dish Crostata ($14). The filling changes with the seasons. 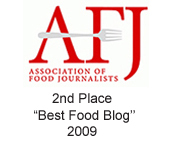 When we were there it featured a mix of figs and blackberries. 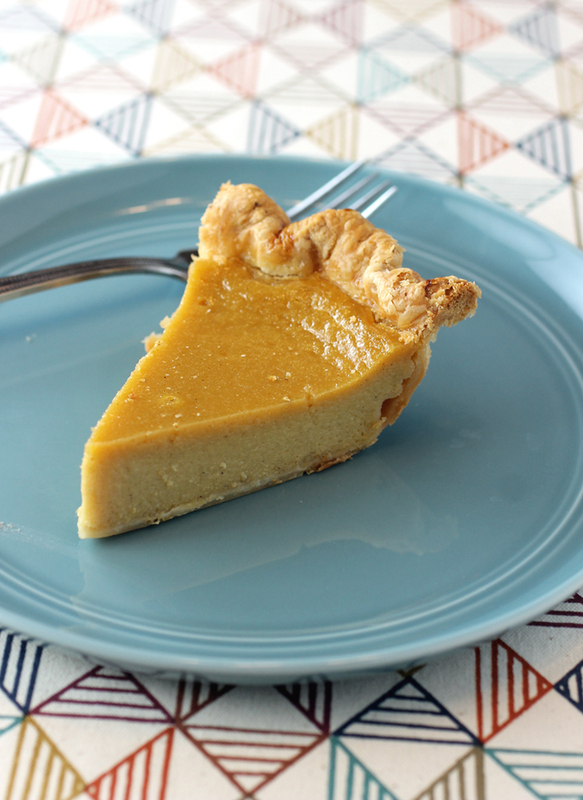 The crust is impeccable — super flaky with a hint of salt. 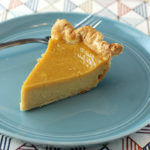 The crostata not the traditional free-form type, but more tart-like in its precise shape. That means it also holds a lot of filling. Pinkerton uses restraint with the sugar so that the true taste of the fruit shines through without cloying embellishments. Even the accompanying Fior di Latte gelato is less sweet than expected. It’s beautifully smooth, with the taste of pure cream. Fresh fruit to end — the Italian-way. 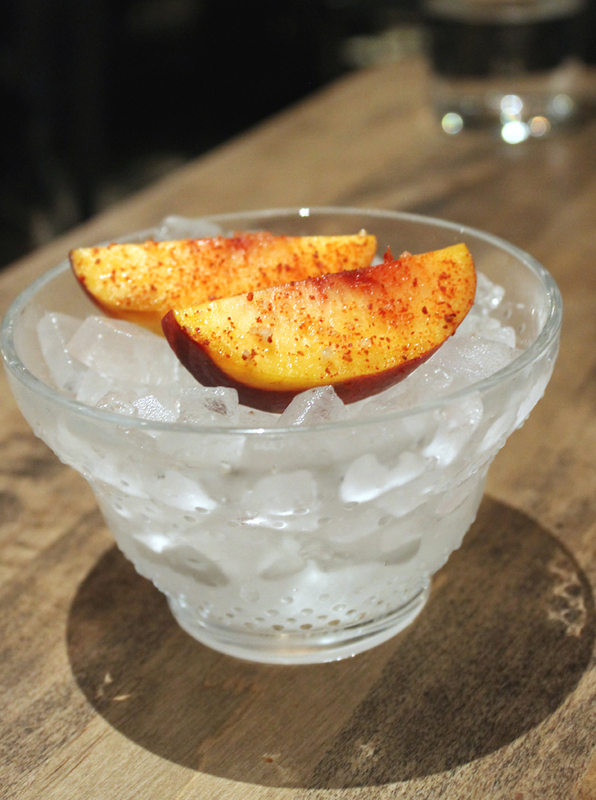 A final gift arrives just before the check: Two slices of fresh nectarines, their edges dipped in a spice mix, before being set on a bed of ice. They’re refreshing and perky on the palate. It is definitely the cool kid in town now. And who doesn’t want to hang with a person like that — at least for a little while? I went soon after it opened, so interested to see how it might have changed since. Sounds like it’s gotten into a groove. 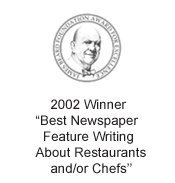 Now if I can score a repeat reservations! Thank you thank you Carolyn! I really appreciate your e-letters.